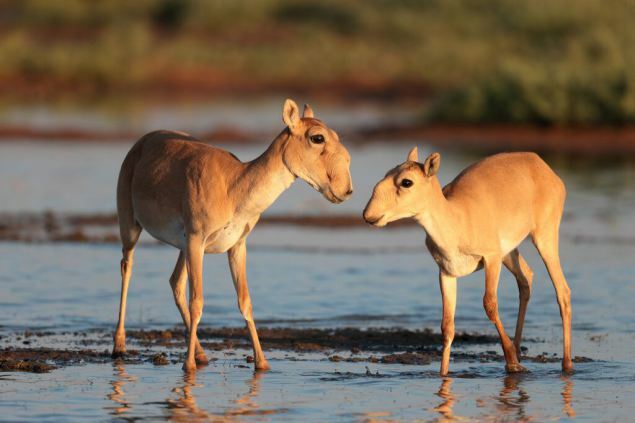 Bonn/Geneva, 12 April 2019 – Range States have agreed on a set of concrete conservation priorities guiding the work under the Memorandum of Understanding (MOU) Concerning the Restoration, Conservation and Sustainable Use of Saiga Antelopes (Saiga spp.) up to 2025. The agreement came at a workshop held from 1-4 April and jointly organized by CMS and CITES as well as the International Academy for Nature Conservation of the German Federal Agency for Nature Conservation (BfN INA) with funding from the German Ministry of the Environment, Nature Conservation and Nuclear Safety (BMU). Representatives of four of the five signatory States of the MOU and China, and of the CMS and CITES Secretariats, cooperating organizations and experts reviewed progress in implementing the MOU and its Medium-Term International Work Programme (MTIWP) 2016-2020, which guides joint conservation measures for Saiga antelopes. 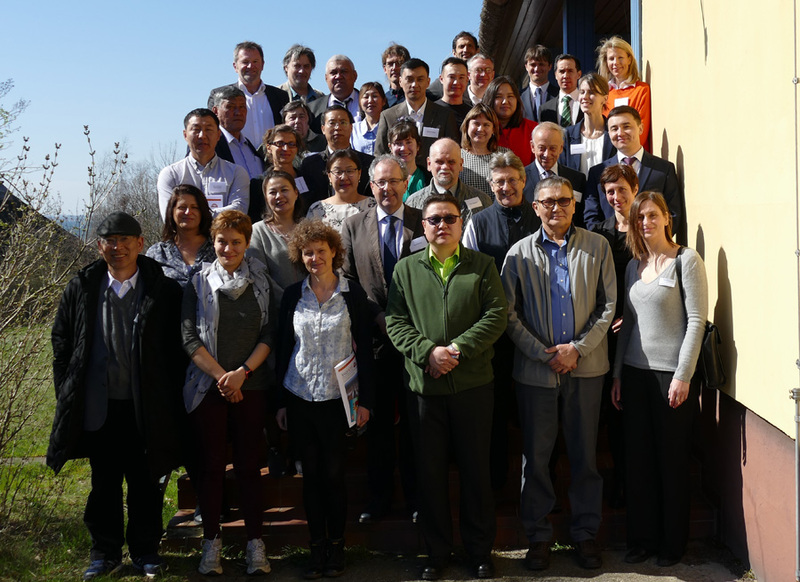 Participants exchanged information on current Saiga conservation activities and developed a new work programme covering the period 2021-2025. The overall saiga populationnumbers have increased from 67,000 in 2006, when the MOU came into force, to 228,000 in 2018, reflecting the good management and joint efforts by the countries and cooperating organizations to implement the Saiga MOU as well as the international trade control applied by CITES. 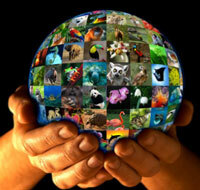 While showing a positive trend, the species can experience sudden dramatic declines. In 2017, the Mongolian Saiga population was reduced by half due to infection with the Peste des Petits Ruminants (PPR) virus, leaving only 7,000 animals alive. Meeting participants agreed on a number of priority measures including vaccination of livestock to help stop the spread of the virus to wildlife including Saiga antelopes. In addition to disease outbreaks, linear infrastructure (fences, railroads, pipelines, roads, etc. ), habitat deterioration and poaching are threats for Saiga Antelopes. All participants agreed that efforts must continue to implement the draft new MTIWP, which contains conservation measures relating to sustainable use and trade, local people, awareness, habitat and environmental factors, protected areas, monitoring, anti-poaching, disease and captive breeding, as well as population-specific measures. Fostering the links between CMS and CITES, participants strengthened and expanded measures relating to the sustainable use of, and trade in Saiga Antelopes in the new draft MTIWP. These include encouraging registration, control and monitoring of stockpiles, improving internal market controls for Saiga parts and products, harmonizing legislation to implement CITES, and reducing demand for and use of saiga horn in traditional Asian medicines. The meeting also agreed to start looking into the feasibility for potential future sustainable use of specific populations of Saiga Antelopes and assess the conditions and requirements under which this could take place. The new draft Medium-Term Work Programme 2021-2025 will be submitted to the fourth Meeting of the Signatories to the MOU to be held in 2020 in the Russian Federation. Prior to this, it will be shared with the Parties to CITES at the 18th Meeting of the Conference of the Parties to CITES in May 2019 in Colombo. The Saiga MOU is an intergovernmental instrument developed under the auspices of CMS dedicated to the conservation of saiga antelopes across their five Range States (Kazakhstan, Mongolia, the Russian Federation, Turkmenistan and Uzbekistan). The MOU has been in force since 2006 and has been signed by all Range States, as well as nine Cooperating Organizations, namely the Association for the Conservation of Biodiversity of Kazakhstan, Fauna and Flora International, the Frankfurt Zoological Society, the International Council for Game and Wildlife Conservation (CIC), IUCN/SSC, Nature and Biodiversity Conservation Union, Saiga Conservation Alliance, Wildlife Conservation Society and WWF International. Participants agreed on a joint Communiqué, summarizing and highlighting the main findings of the workshop.